OK, here's something I haven't seen addressed in this thread. I have a 2018 2.5 Premium Outback, and several months ago, I read this thread and bought the Phillips H9 bulbs. Today, I finally got around to doing the mods (removing the extra plastic tab and trimming the top metal tab). Then I go to insert the first one, and it won't fit in the bulb opening. 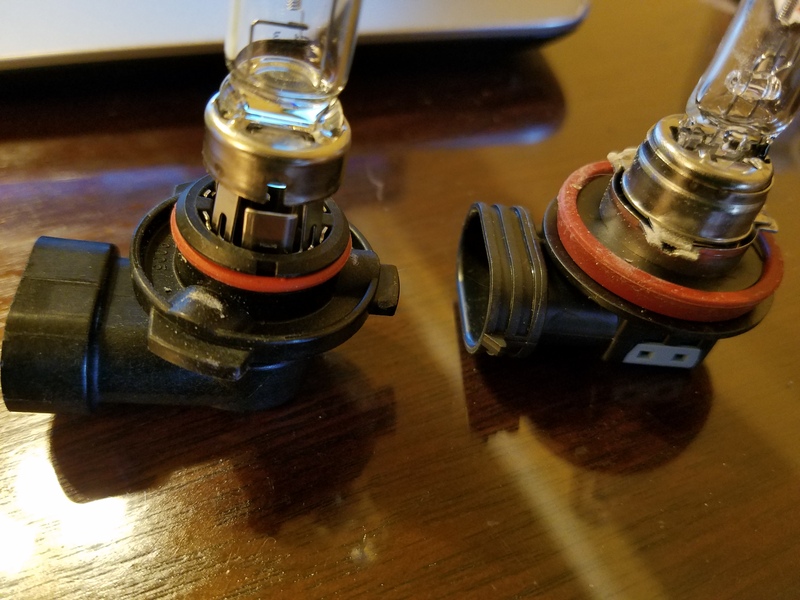 I compare the ones in the OB now with the new H9s and they are completely different at the base. The OEM ones are much smaller in diameter and the red rubber seal is further down in the socket. Even the part that attaches to the wiring harness is different. WTH? 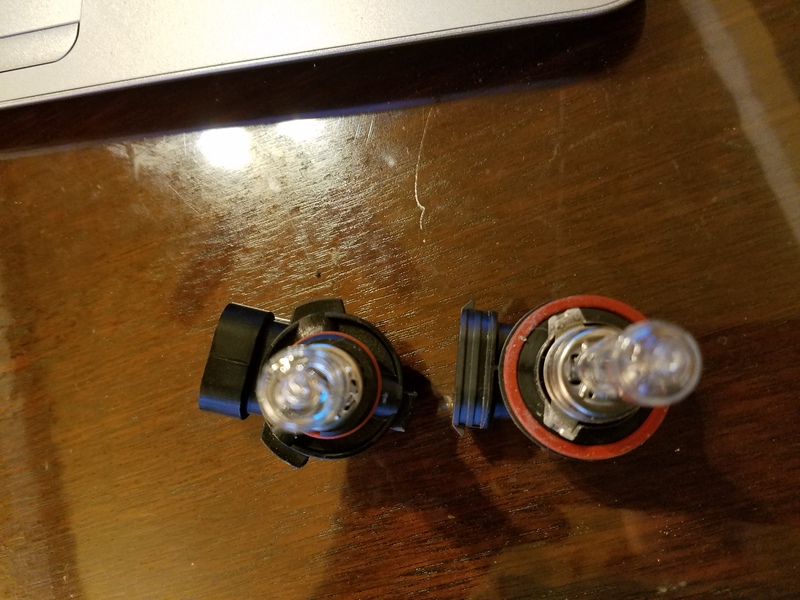 I thought the OB came with H11s, but these don't look like H11s... What the heck are these, and what higher lumen bulbs can I replace them with? In the pics the OEM bulbs are on the left, the Phillips H9s on the right. The 2019 Owners Manual says H11 is still original equipment (halogen low beams only). Are you sure that's the low-beam lamp you pulled? Per the OM, OE halogen high beams are HB3. I'm pretty sure the HB3 is a variant of the venerable 9005 high beam bulb. I believe SubiGrl pulled the wrong lamp. All bulbs are marked on their bases. Check what you have removed. Are you sure that's the low-beam lamp you pulled? Per the OM, OE halogen high beams are HB3. The fact that you are even in there giving it a shot speaks volumes! Keep at it. I haven't replaced headlight bulbs before, so...rookie mistake! We all started out knowing nothing, so we've all been there. And after 60+ years of wrenching on cars, motorcycles, and airplanes I'm still learning. Thanks, that's nice to hear. A few months ago, I managed to replace all my interior bulbs with LEDS without much trouble (blew one fuse during the process, but otherwise it went smoothly). And I did the mod to have the center console plugs always hot. This is the first car I've done any mods on... Next, I need to install the JDM wheel arches I bought... Wish me luck!